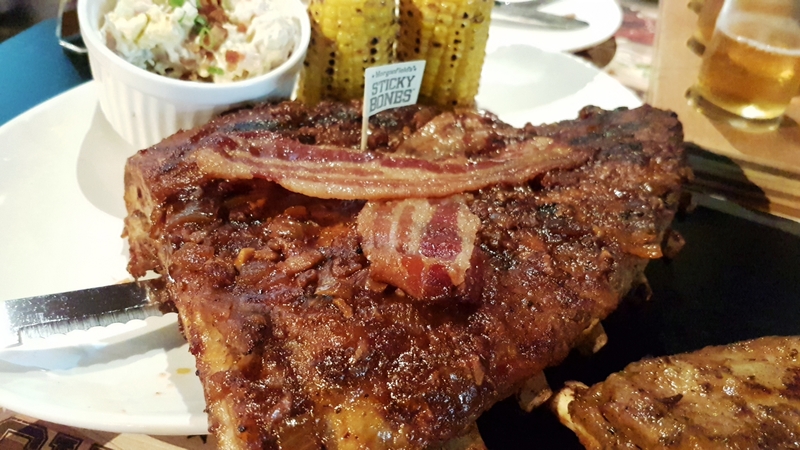 Any lover of ribs has probably heard or tried Morganfield’s. 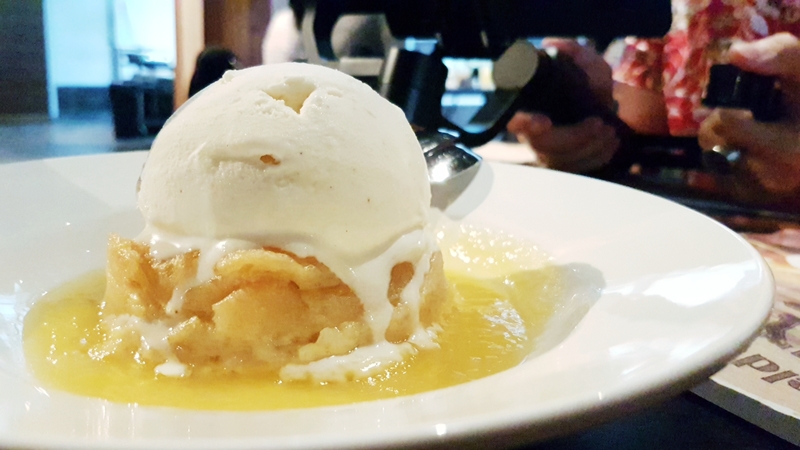 The chain restaurant has gone on to open several new outlets over the past few years and recently launched a couple of new Sticky Bones flavours for the upcoming Mother’s Day and Father’s Day. Check out this video of our visit or read on for more details. We started off with some really nice golden fried Popcorn Pork ($9.90). Instead of the mince you usually get in chicken nuggets, these popcorn pieces are made with cubes of pork rubbed with a spice mix and then fried. 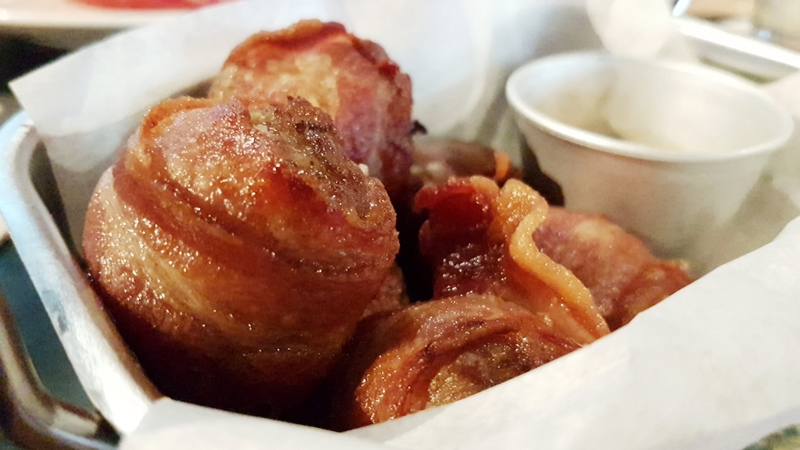 We also had some Bacon Wrapped Meatballs ($11.90) for more of that porky goodness. Compared to the popcorn pork, this one tasted more intense and while my companions preferred the popcorn pork, I preferred this one for it’s stronger flavour. Moving on to the main courses, we started off with Candied Peach BBQ Sticky Bones ($27.90 half, $42.90 full) which were apparently created especially for the ladies. The glaze on these ribs were nicely sweet and the chunks of grilled peaches went surprisingly well with the meat. 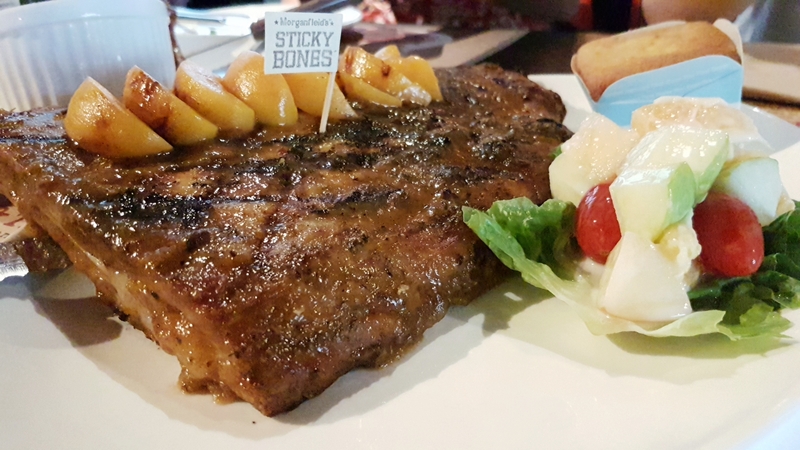 Beer lovers will enjoy the two beers specially paired with these new ribs flavours. The SweetWater Blue offers a light lager with blue berry accents while the Bridge Road Robust Porter delivers a taste full of character and intensity, leaving a chocolaty aftertaste. We finished the meal with some Bread Pudding ($11.90) and a Chocolate Brownie ($13.90). 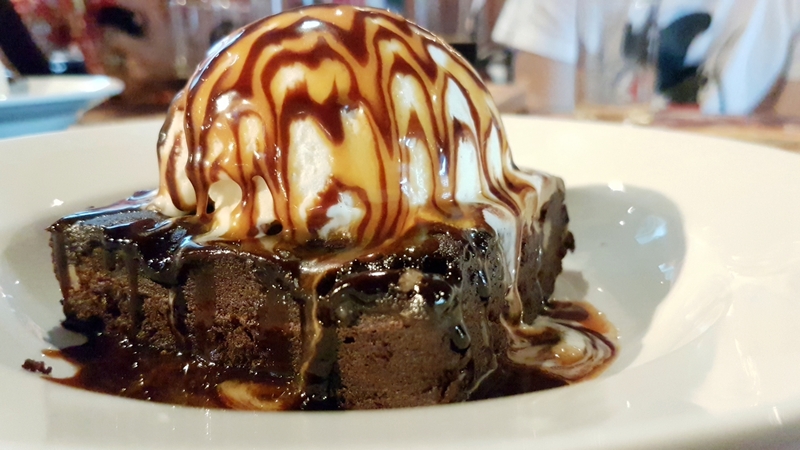 While the Bread Pudding failed to deliver with its overly mushy and plain tasting insides, the Chocolate Brownie was sweet and decadent especially with that giant dollop of ice cream on top! If you’re looking for a casual restaurant to bring your mum or dad for the upcoming Mother’s/Father’s Day, try out Morganfield’s. 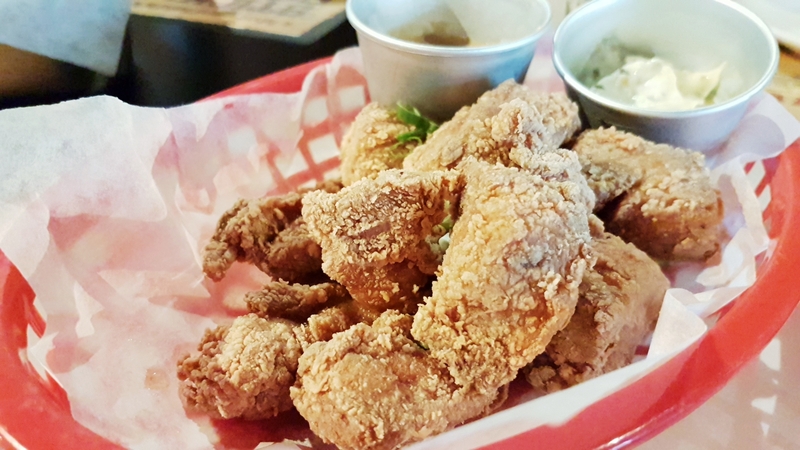 Their hearty portions are great for sharing with the family and with more diners at the table, it means you can order more delicious dishes to try. The Sticky Bones flavours (Candied Peach BBQ and Smokey Bacon Bourbon) are only available till 24th June 2018.